M. Wolf discovered asteroid #565 Marbachia; and P. Gotz discovered asteroid #564 Dudu. R. Schorr discovered asteroid #869 Mellena. NASA conducted an off-the-pad abort test ("beach abort") during the Mercury program as a qualification of the structure and launch escape system for a simulated pad abort. The test was successful. MIT scientists successfully bounced a ruby LASER beam off the Moon for the first time. USSR launched Luna 5 from the Baikonur Cosmodrome. It attempted a soft landing on the Moon but instead crashed into the Lunar surface at the Sea of Clouds when its retrorockets failed to fire. NASA launched Mariner-H (also called Mariner 8) toward Mars, but the booster failed approximately 6 minutes after lift-off and the probe failed to reach orbit. Mariner-H, also commonly known as Mariner 8, was part of the Mariner Mars 71 project. It was intended to go into Mars orbit and return images and data. Mariner 8 was launched 9 May 1971 on an Atlas-Centaur SLV-3C booster (AC-24). The main Centaur engine was ignited 265 seconds after launch, but the upper stage began to oscillate in pitch and tumbled out of control. The Centaur stage shut down 365 seconds after launch due to starvation caused by the tumbling. The Centaur and spacecraft payload separated and re-entered the Earth's atmosphere approximately 1500 km (930 miles) downrange and fell into the Atlantic Ocean about 560 km (350 miles) north of Puerto Rico. T. Smirnova discovered asteroids #1903 Adzhimushkaj and #1904 Massevitch. 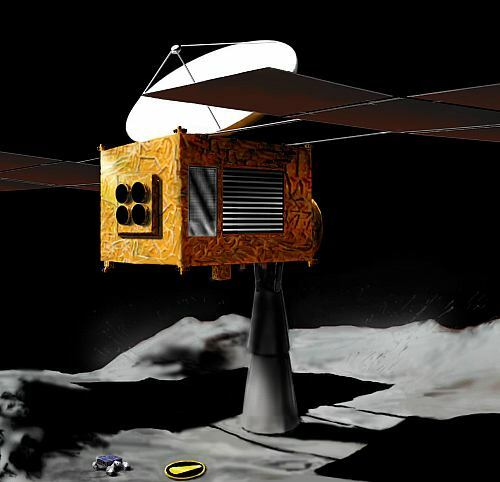 Japan launched Hayabusa (Muses-C), a sample return mission sent to asteroid 1998 SF36.